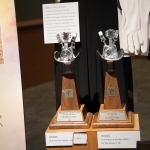 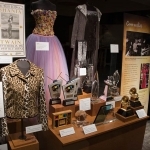 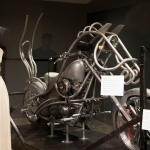 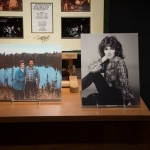 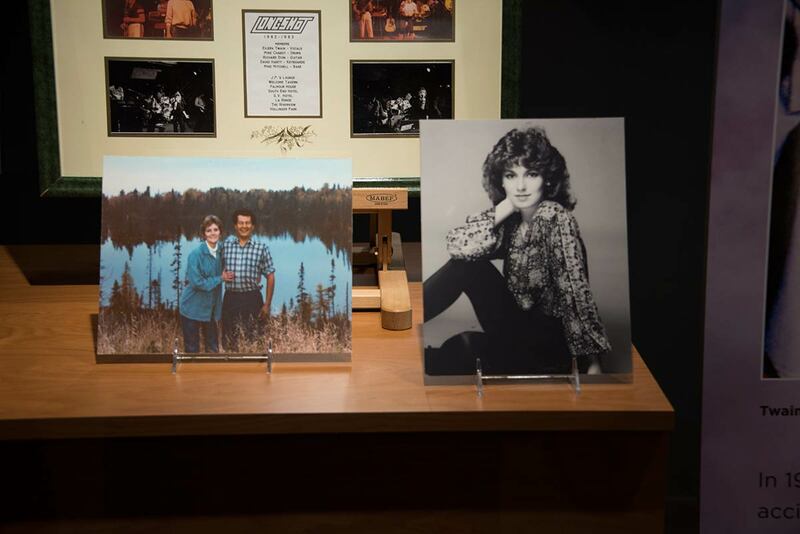 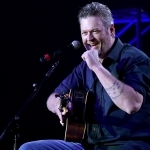 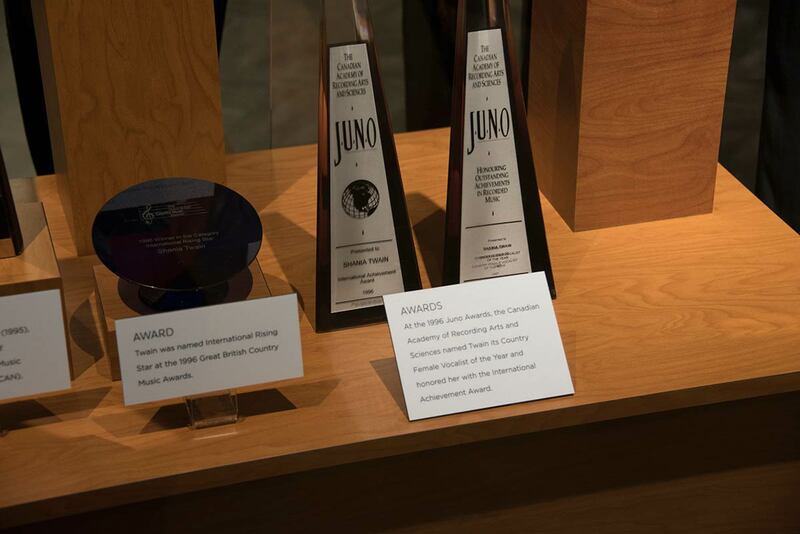 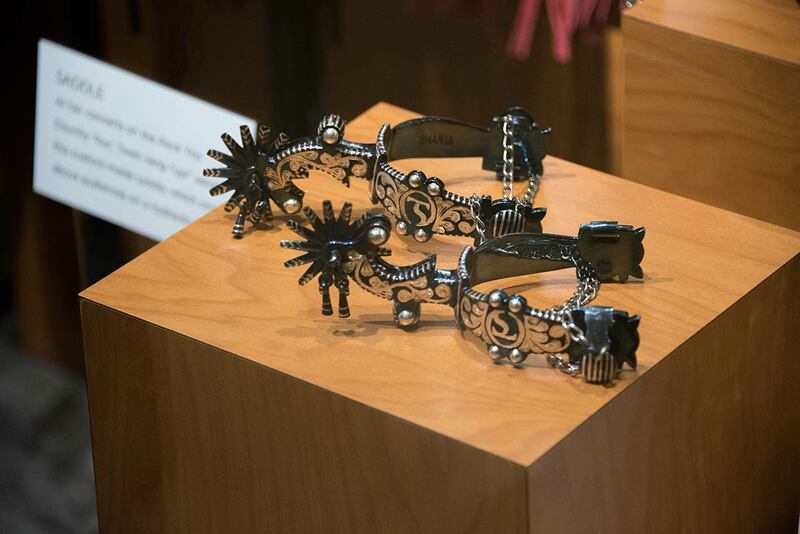 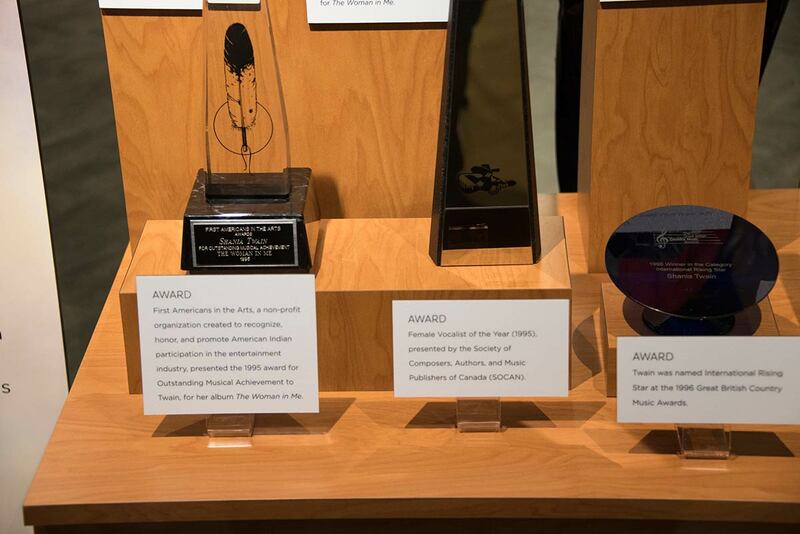 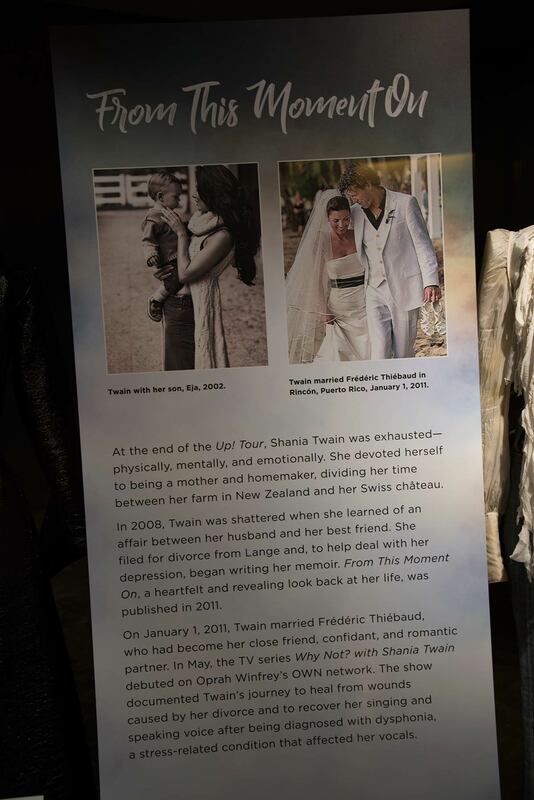 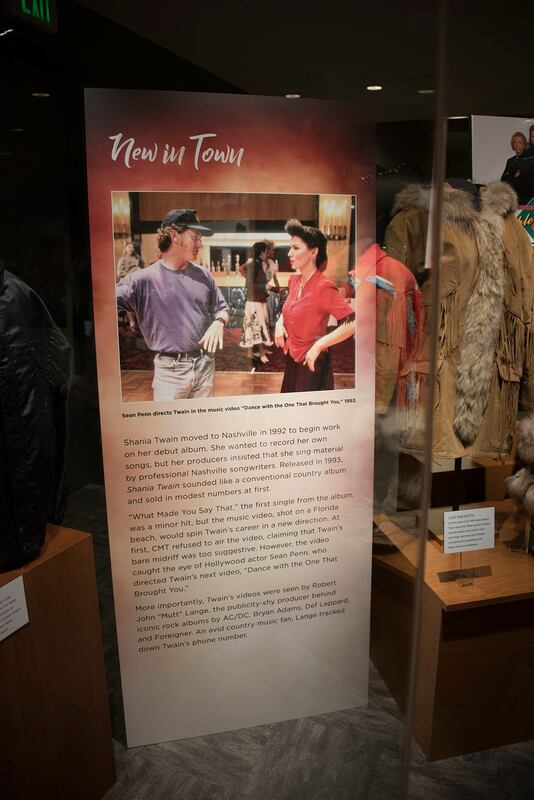 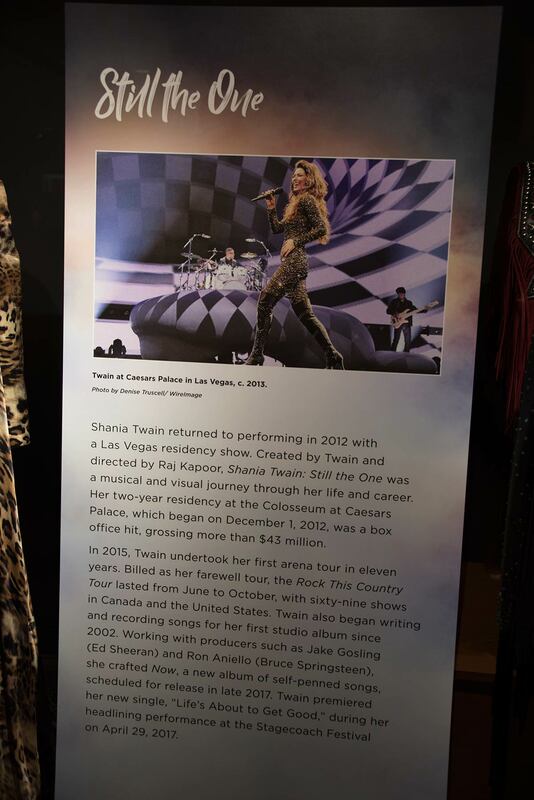 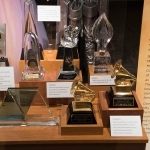 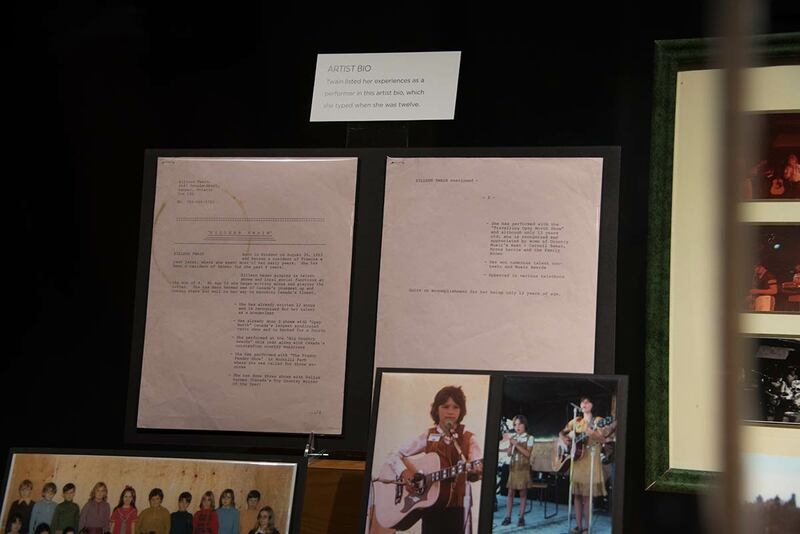 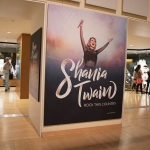 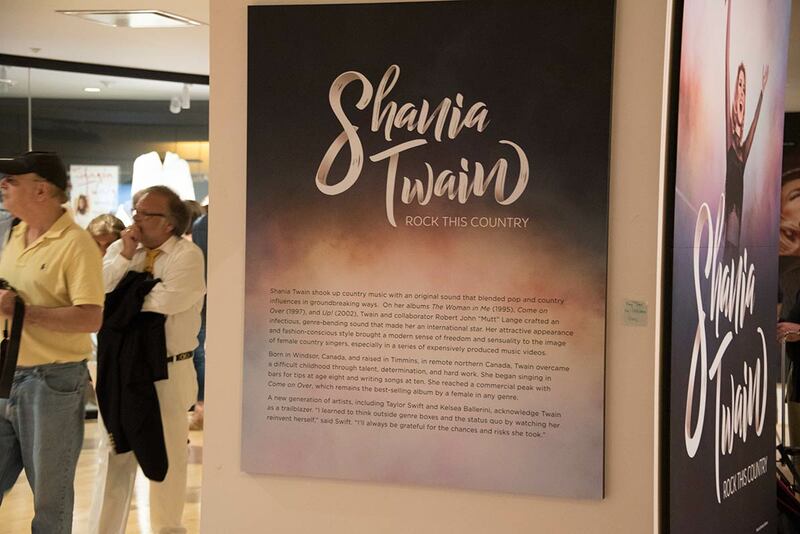 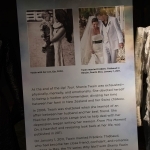 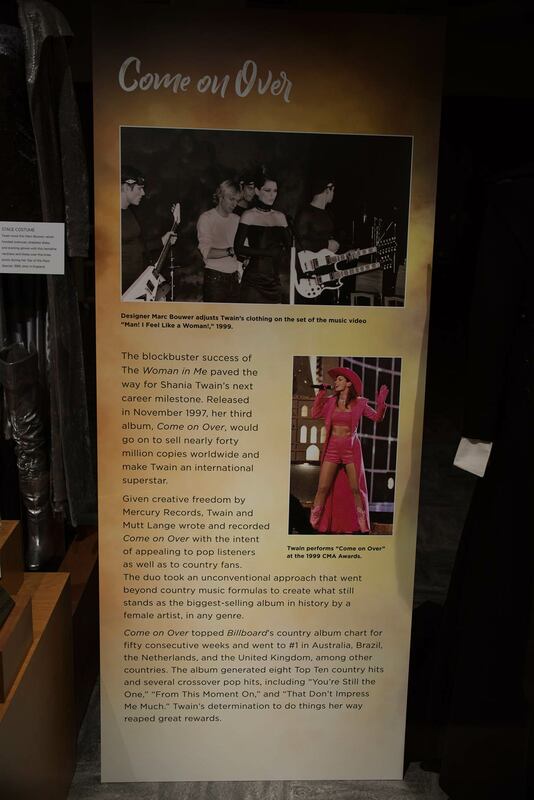 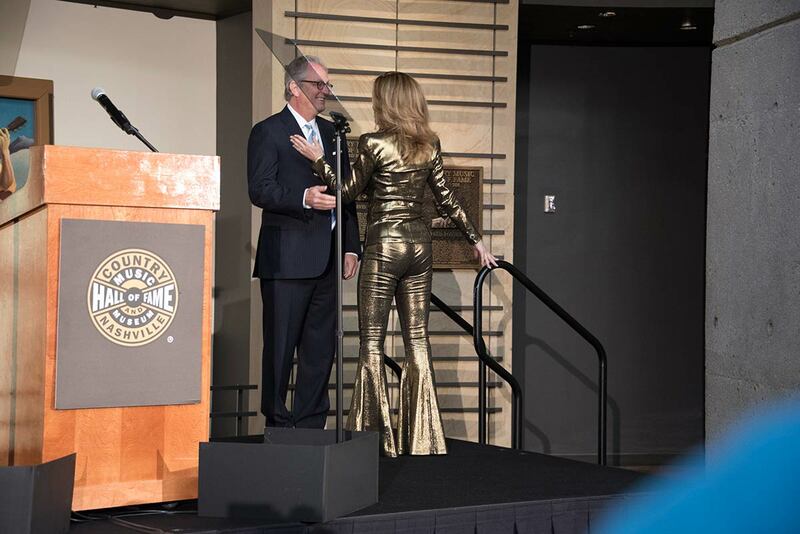 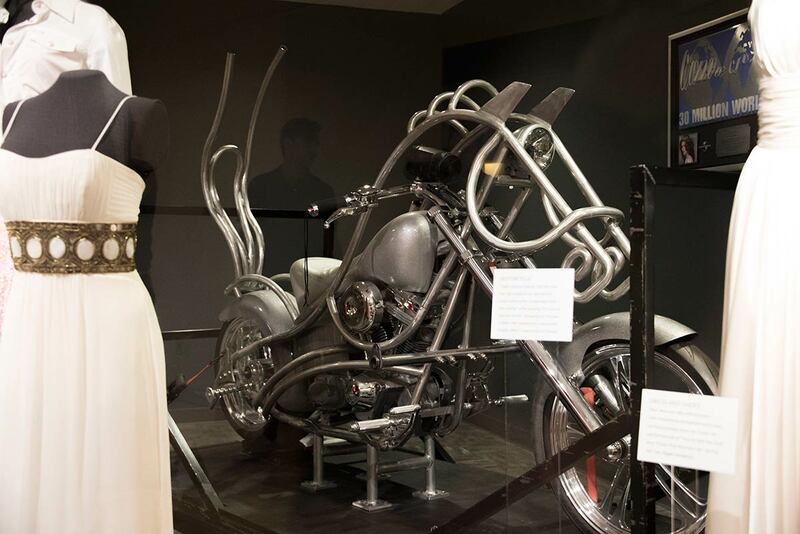 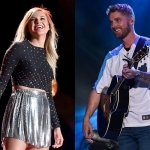 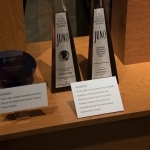 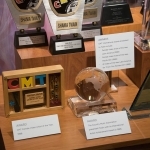 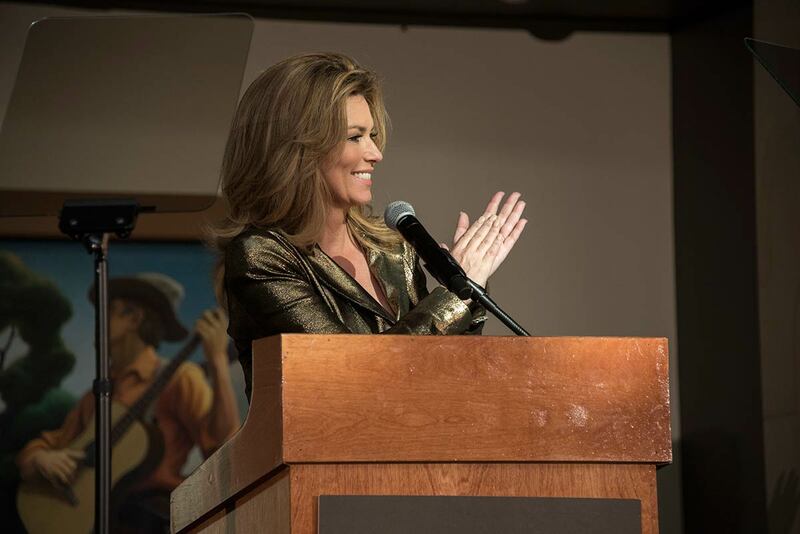 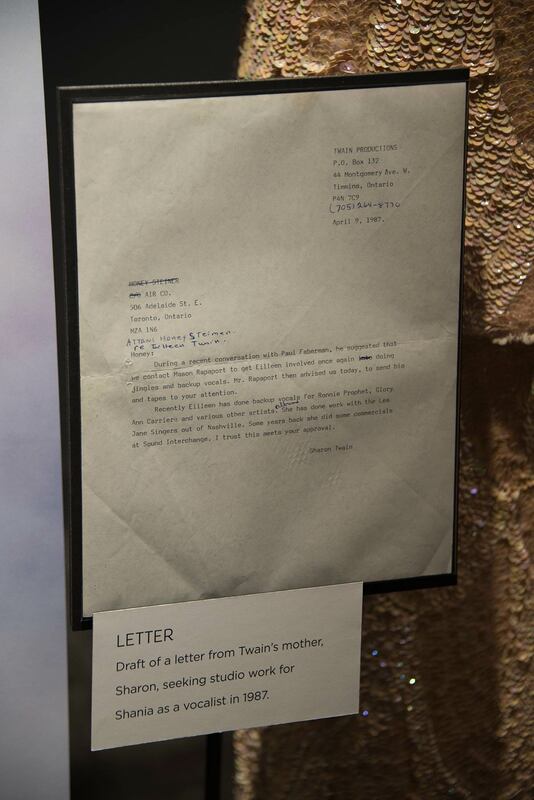 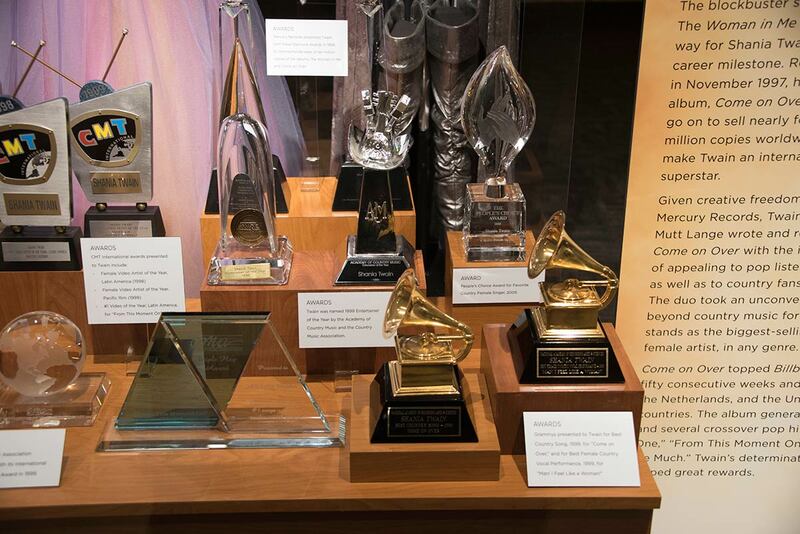 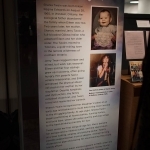 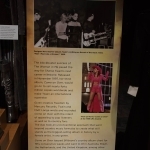 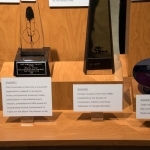 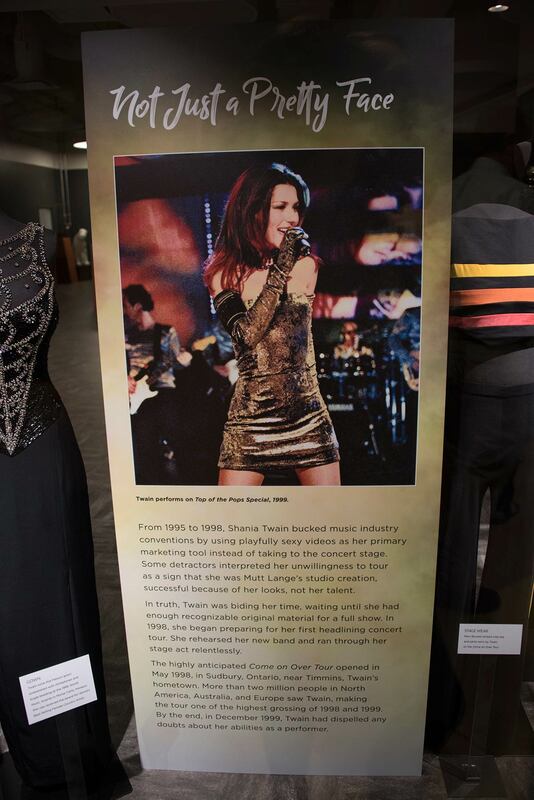 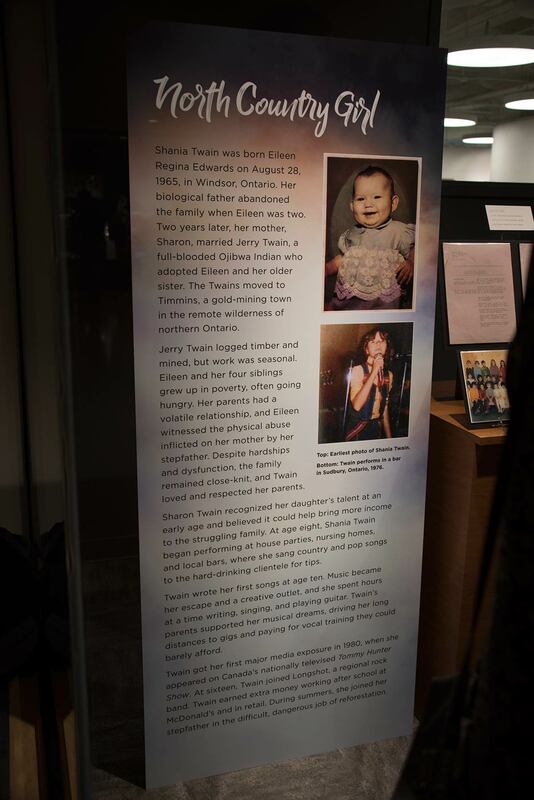 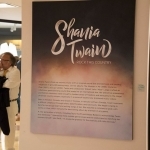 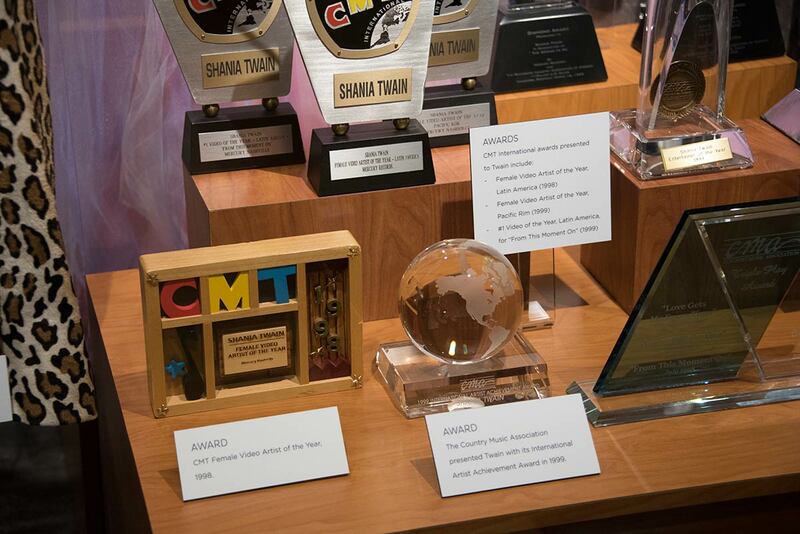 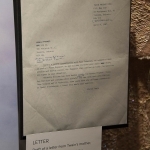 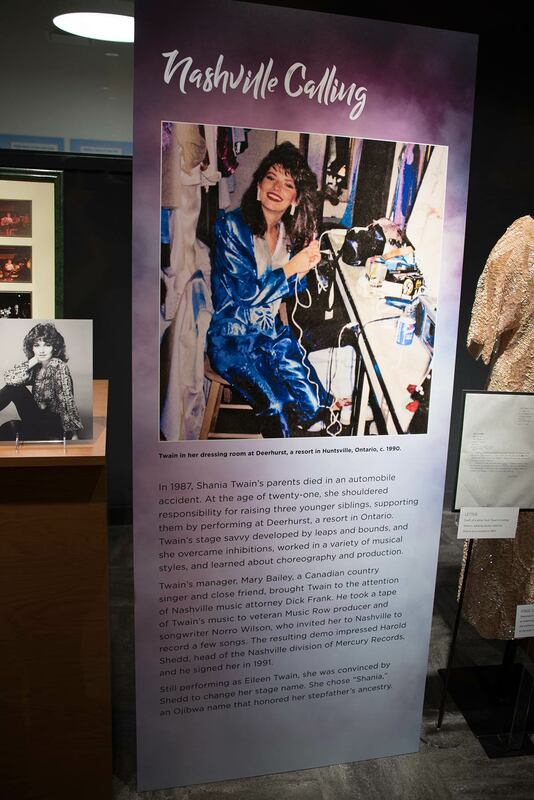 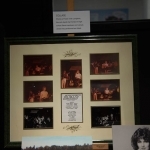 Shania Twain welcomed friends, colleagues and industry insiders into the Country Music Hall of Fame last night (June 27) for a sneak peek of her new exhibit, Shania Twain: Rock This Country. 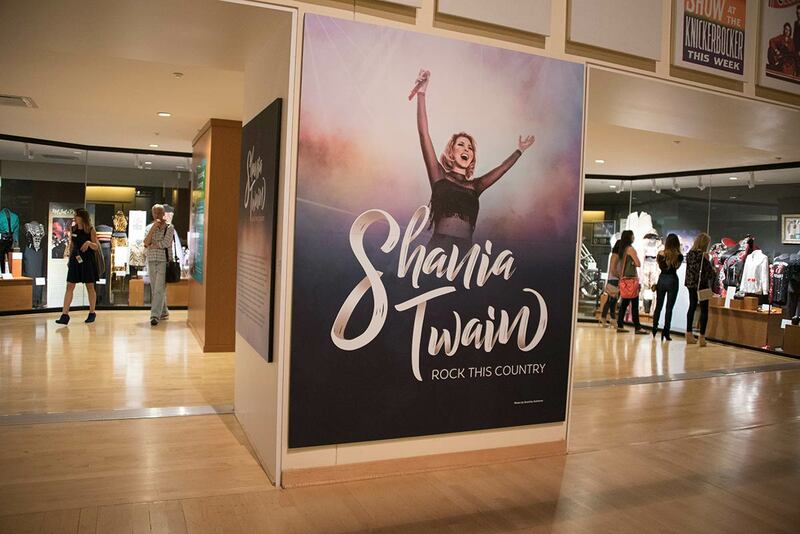 Now Shania and her fans can race back and revisit the past in her new exhibit that opens on June 30 and runs through July 2018. 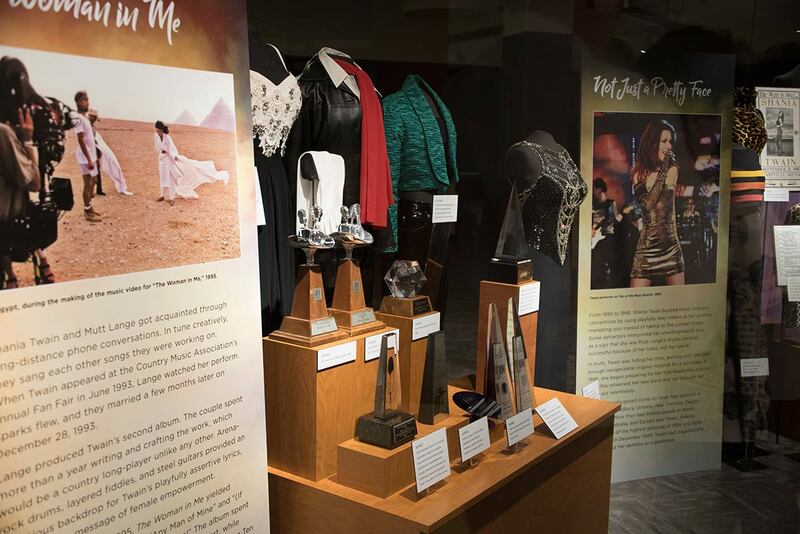 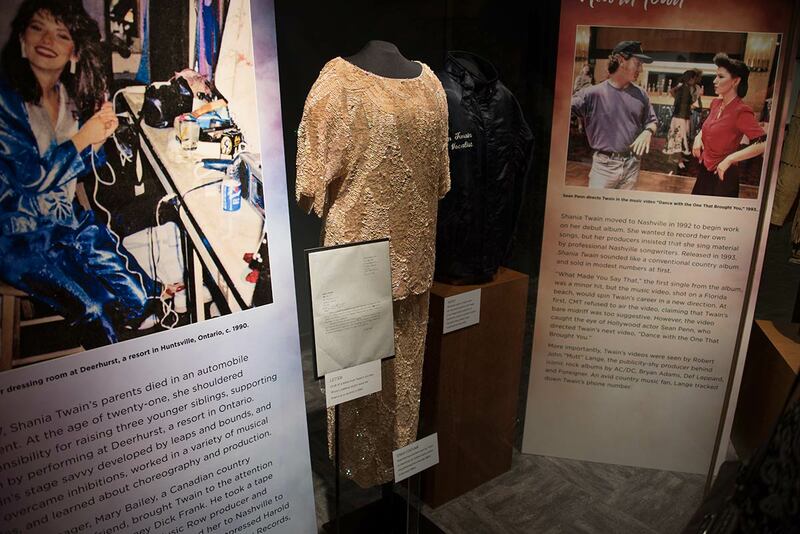 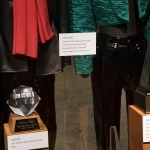 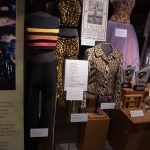 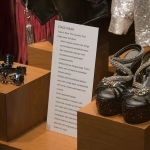 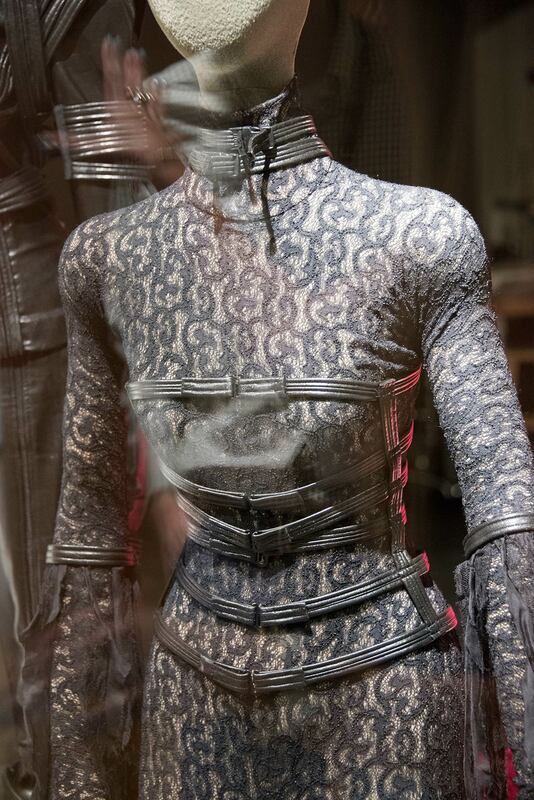 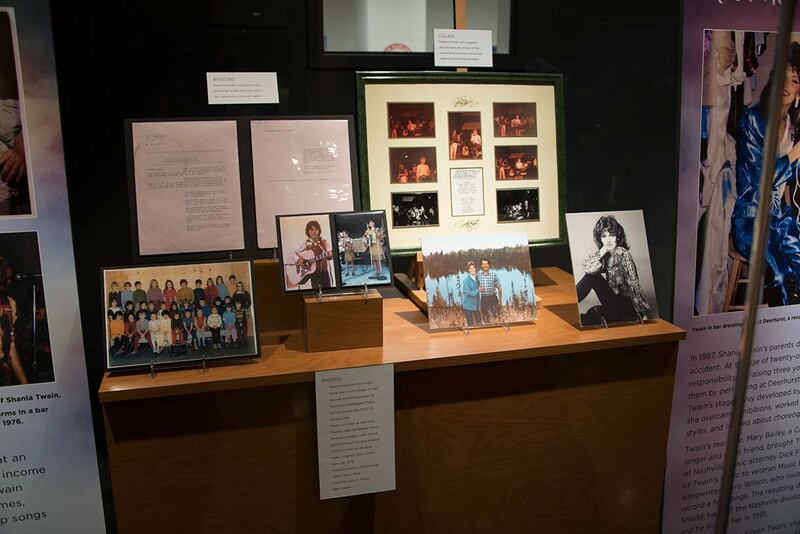 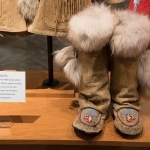 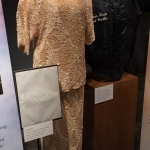 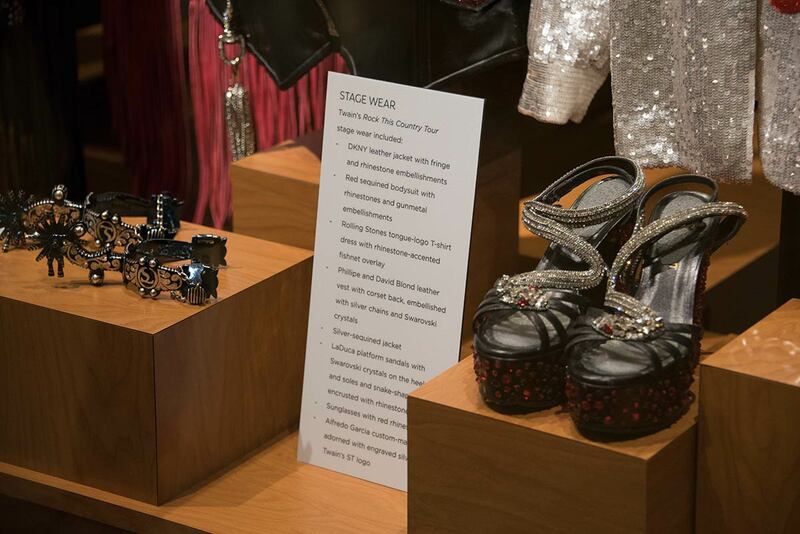 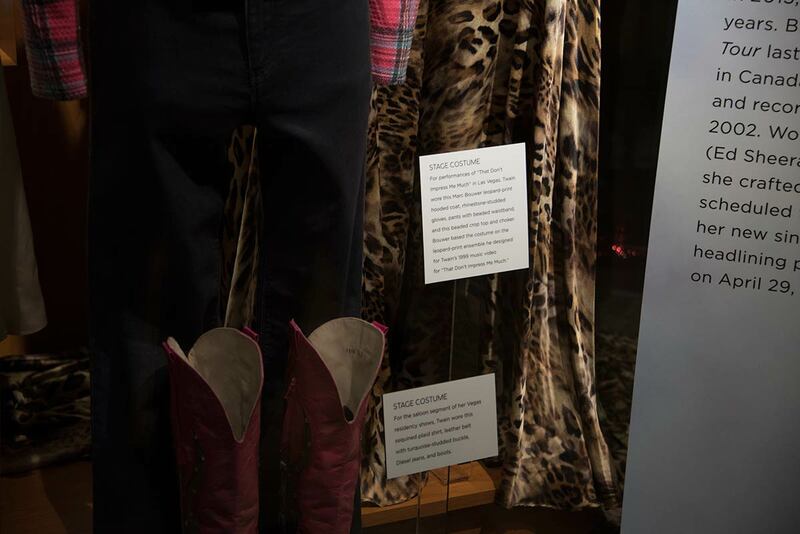 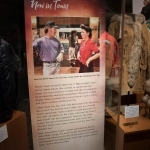 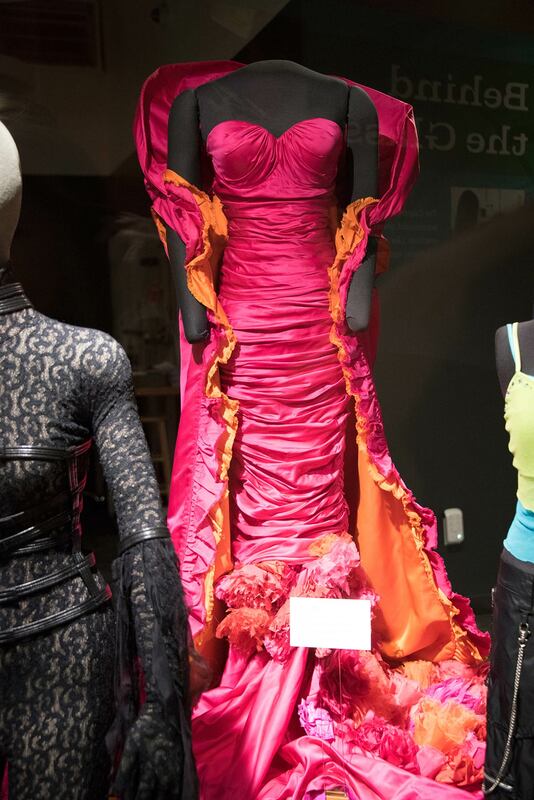 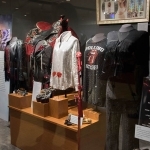 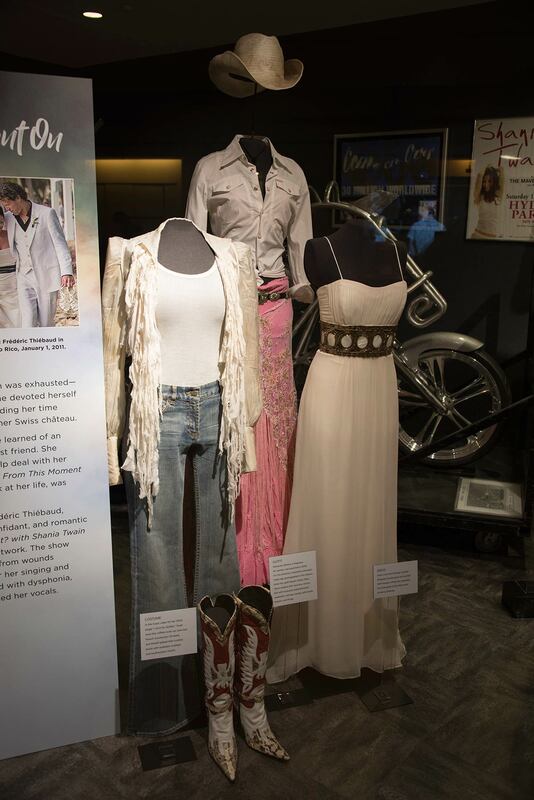 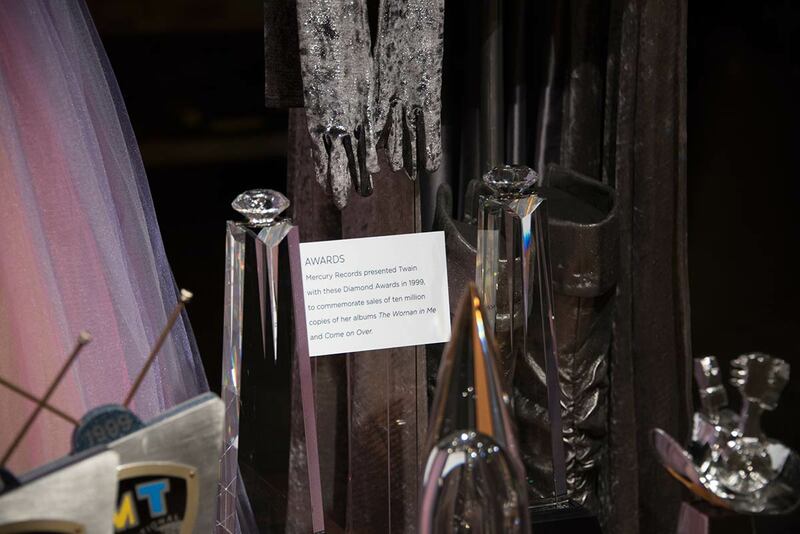 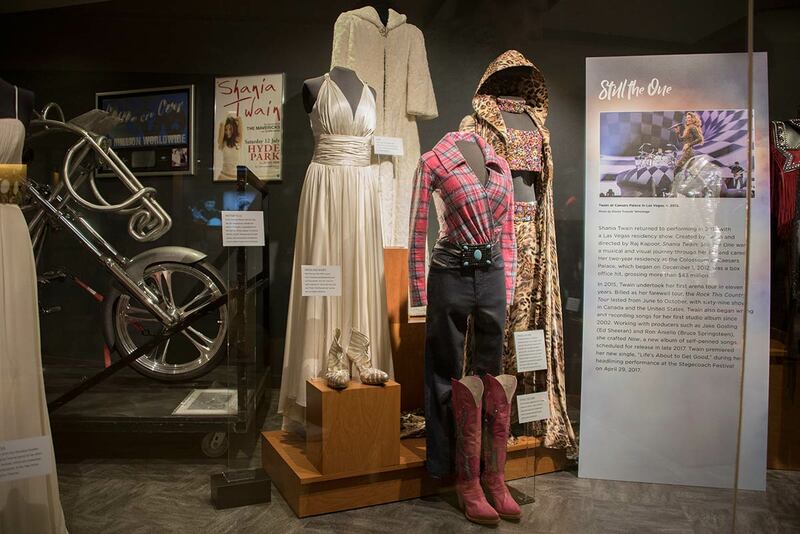 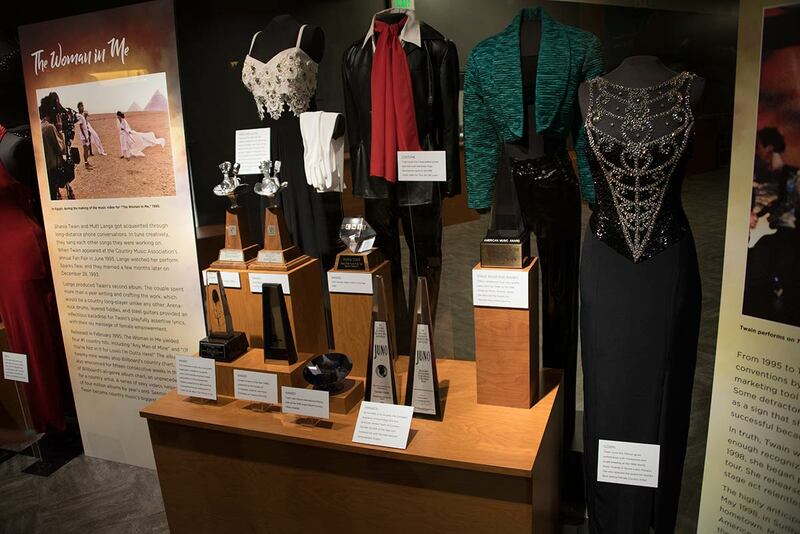 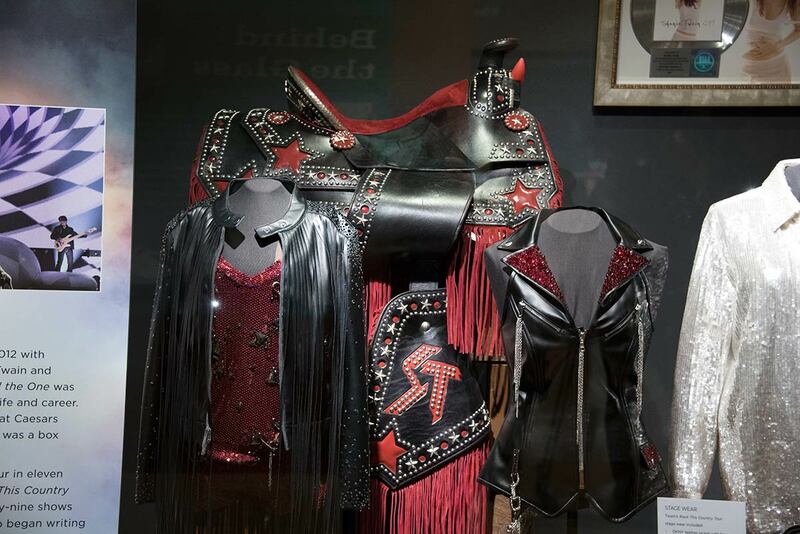 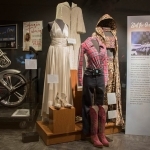 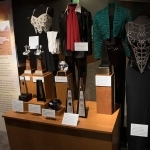 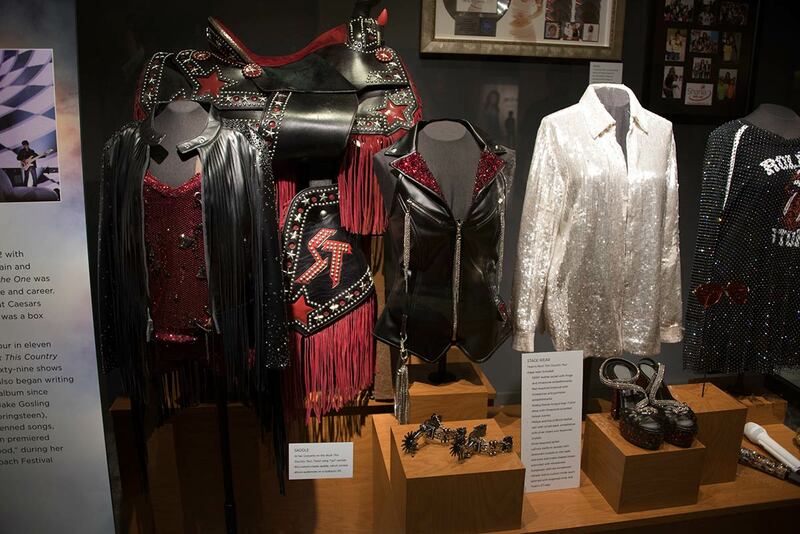 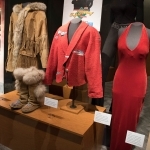 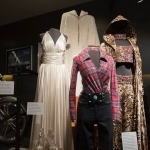 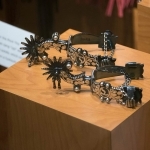 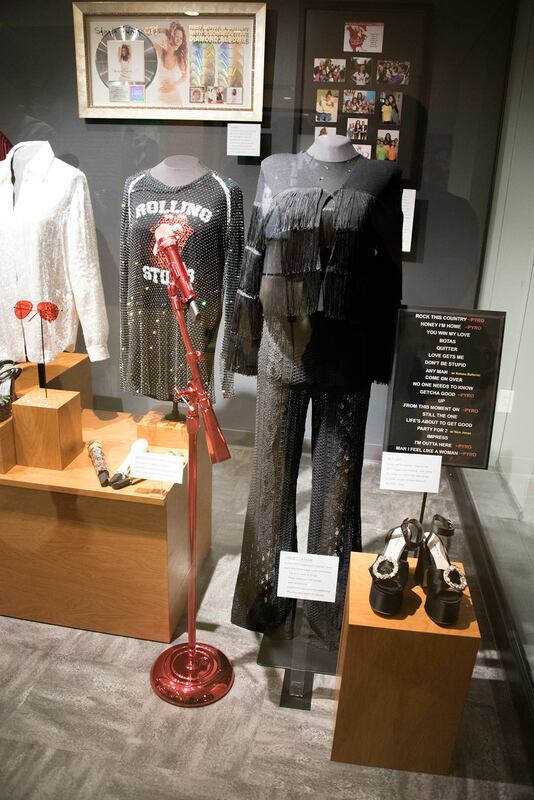 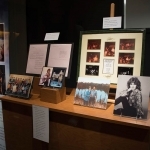 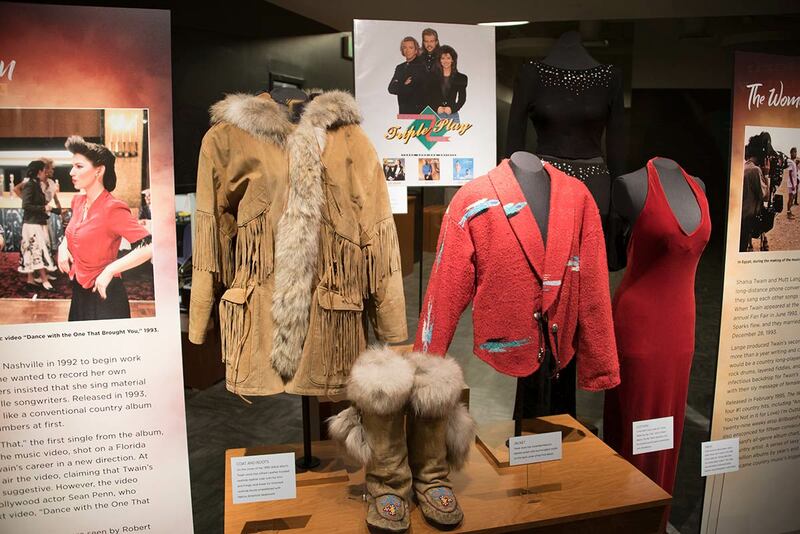 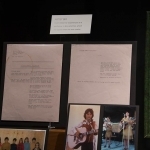 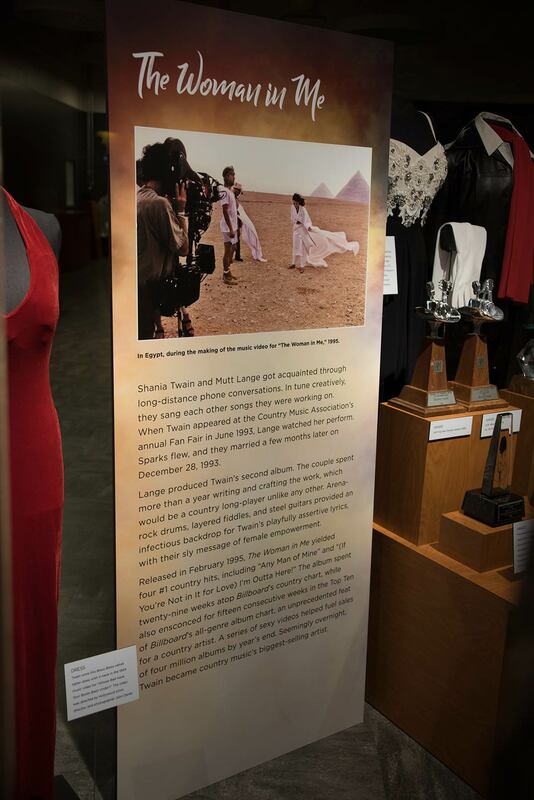 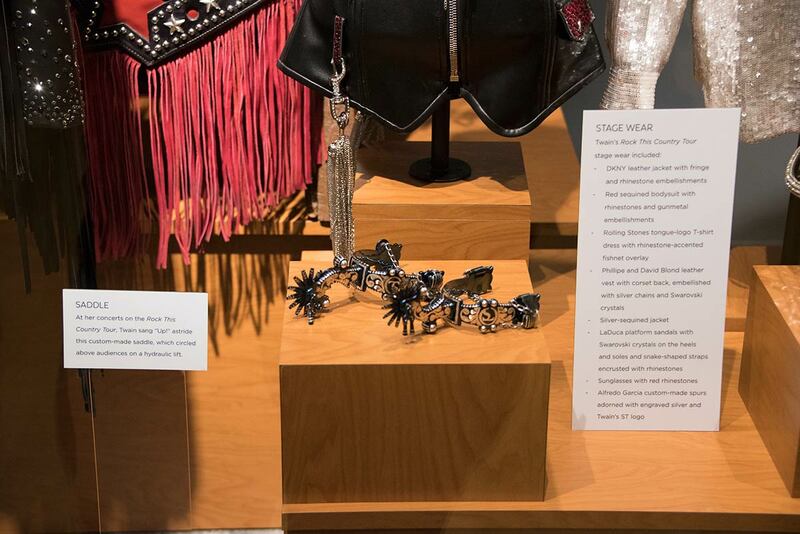 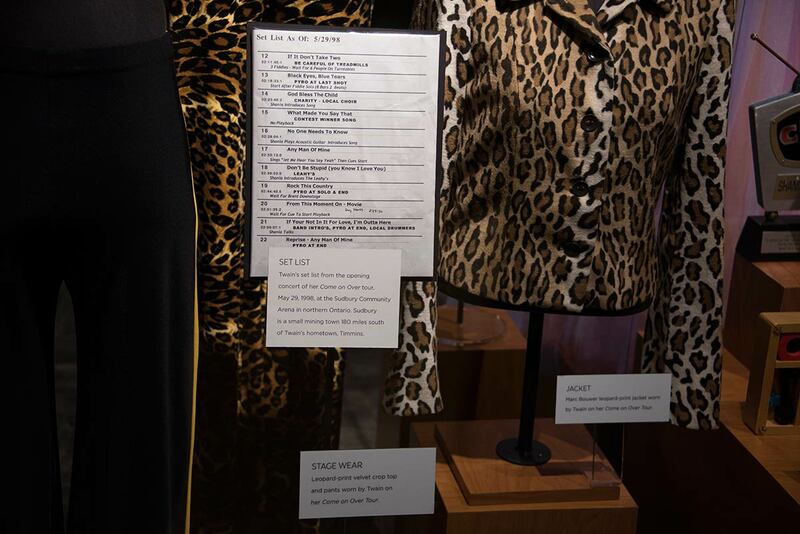 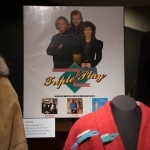 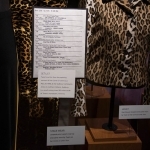 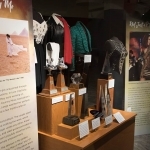 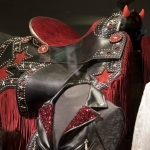 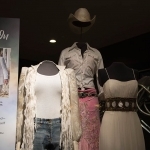 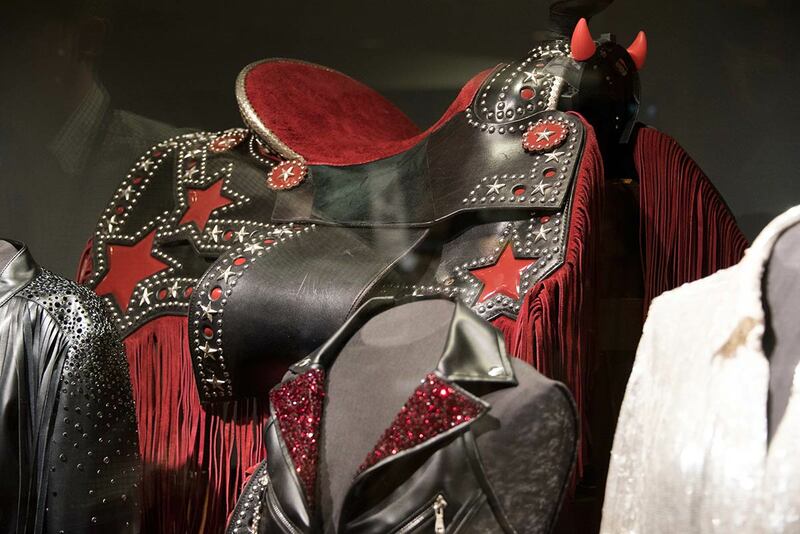 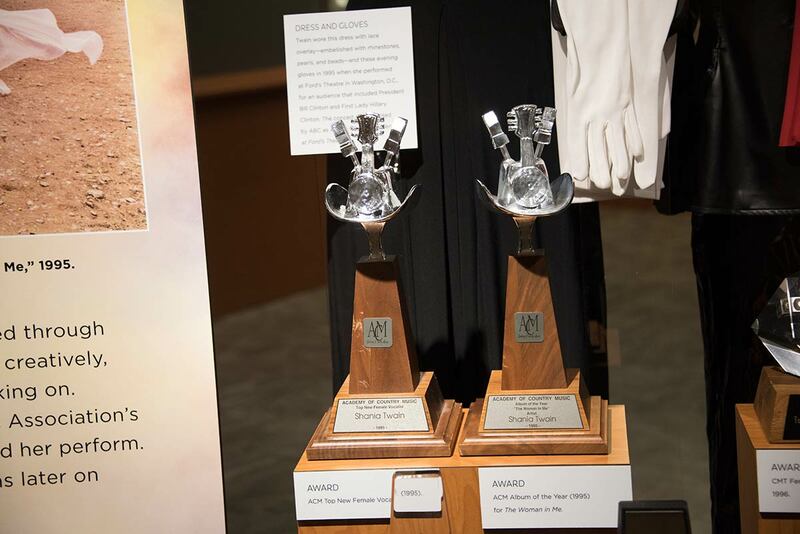 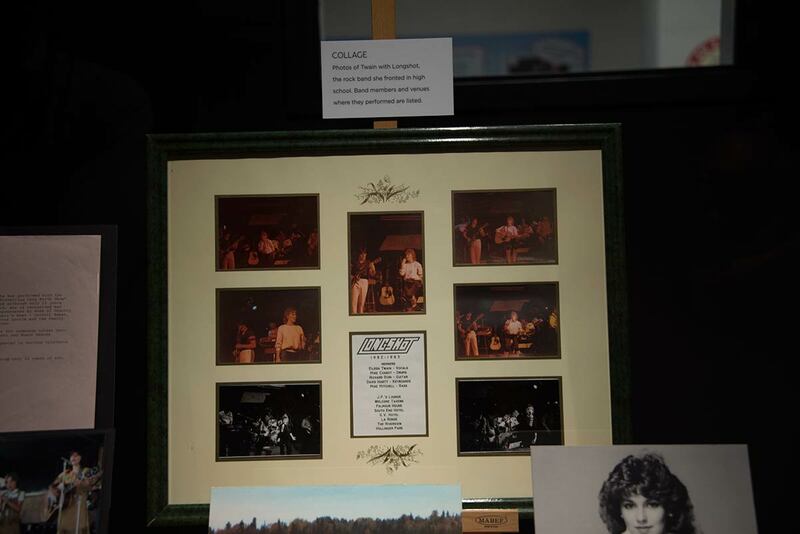 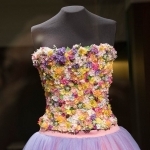 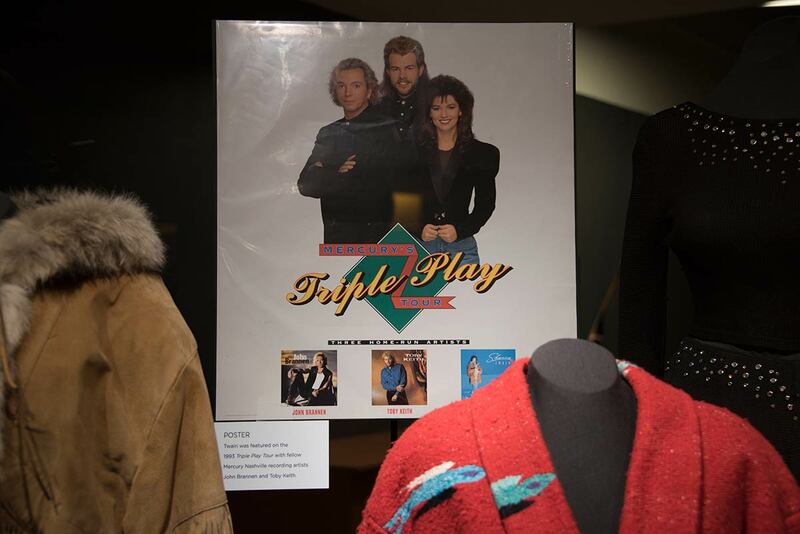 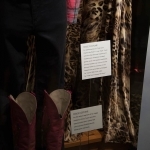 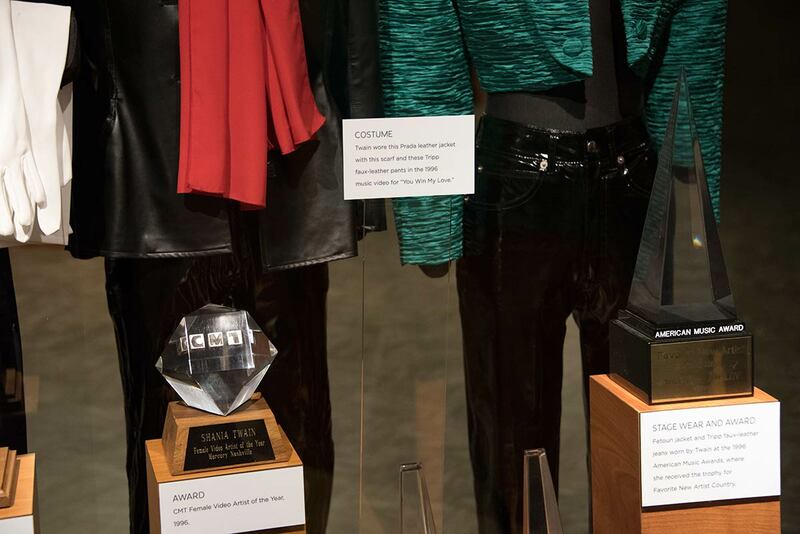 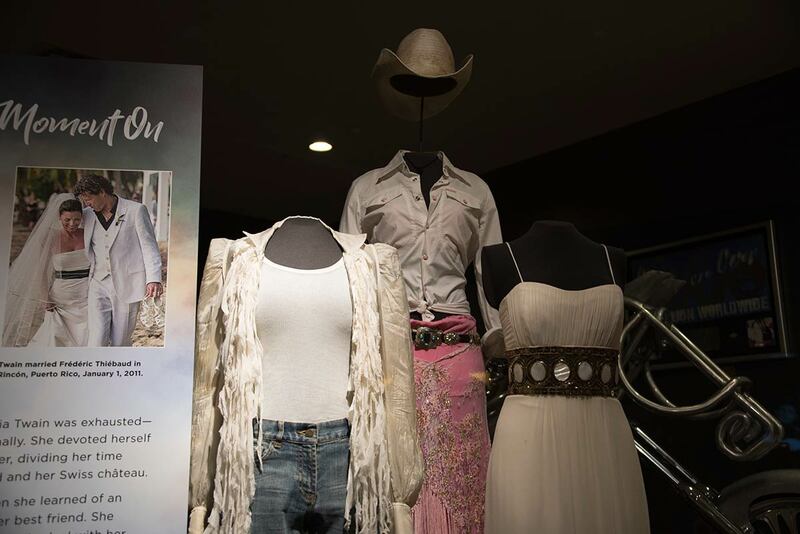 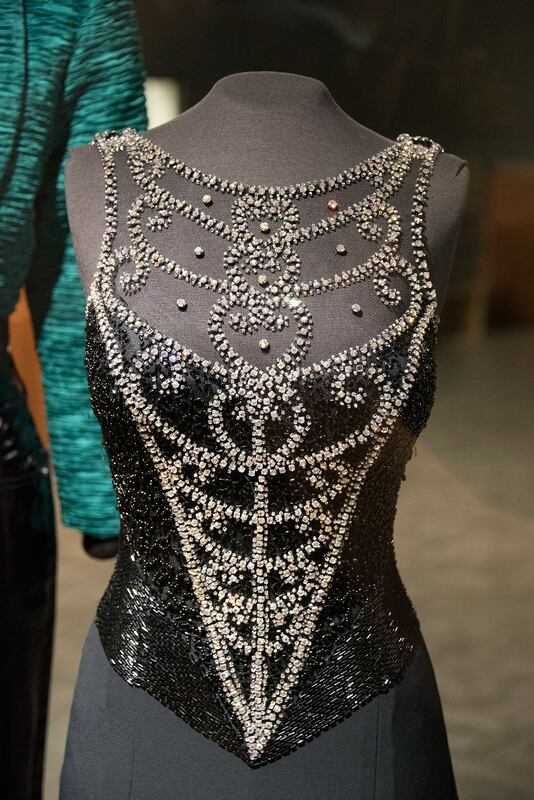 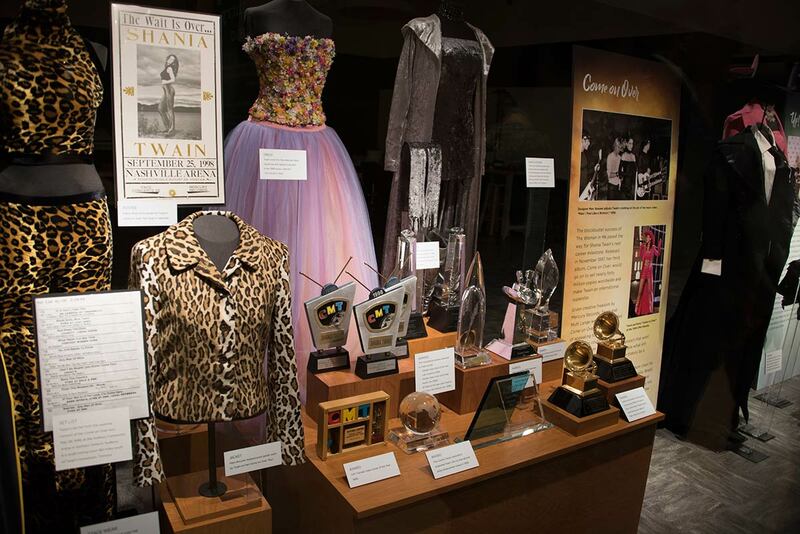 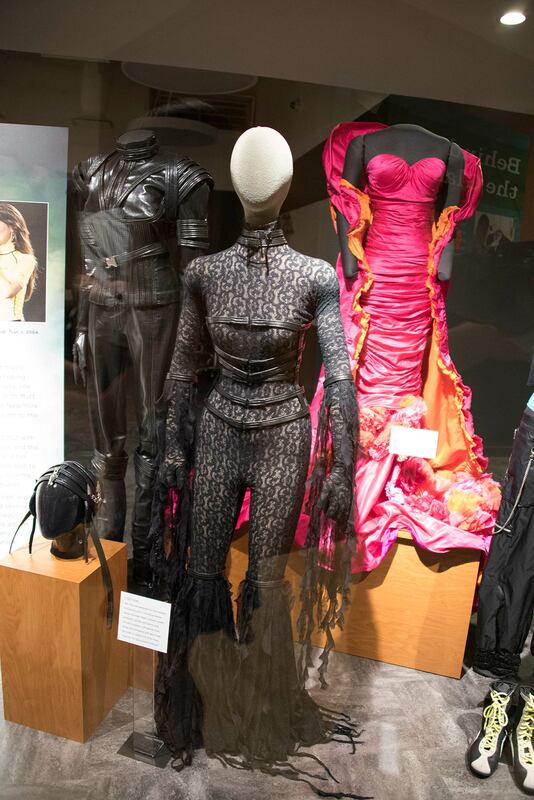 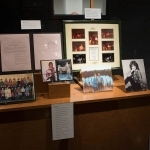 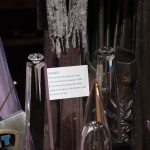 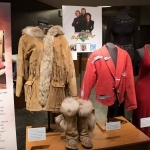 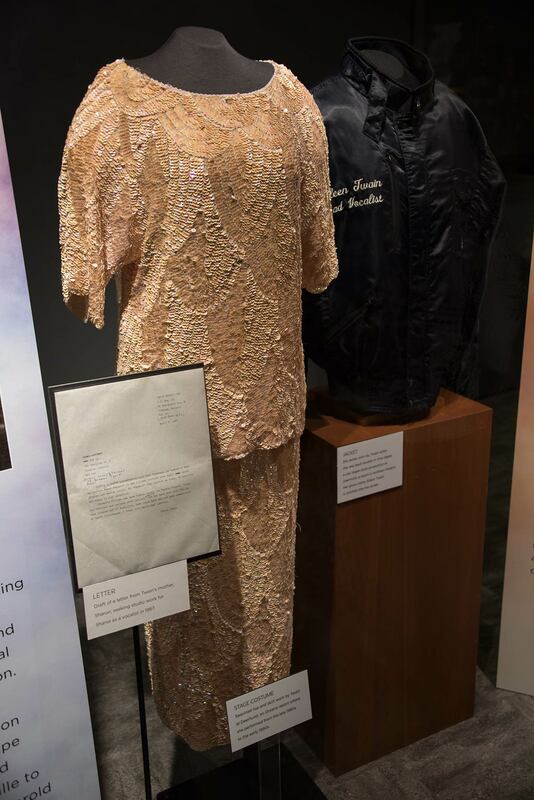 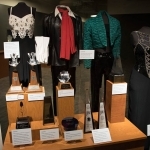 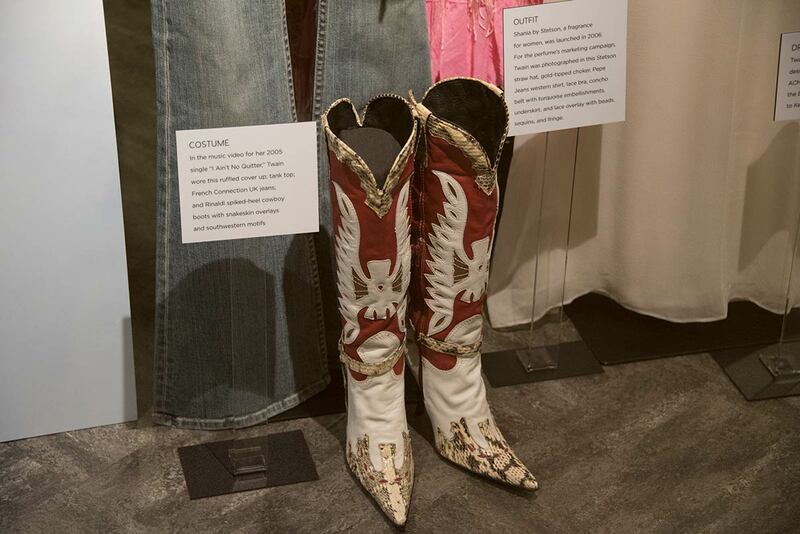 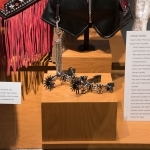 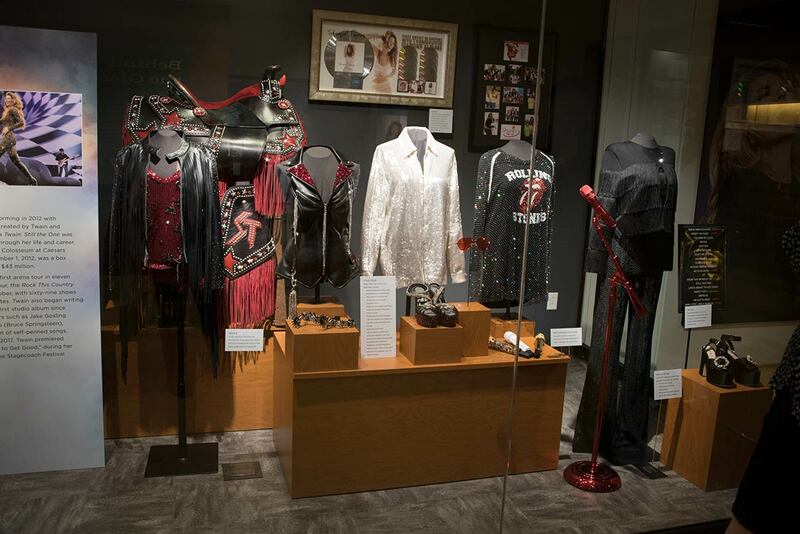 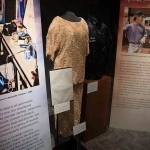 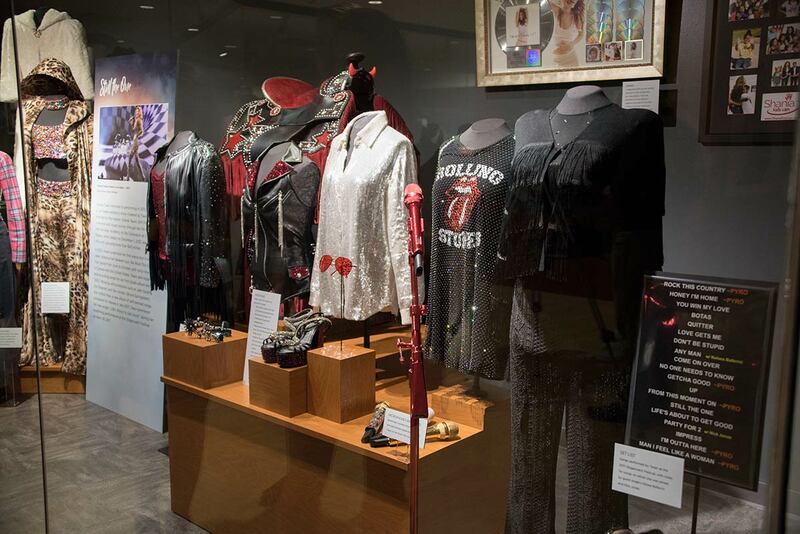 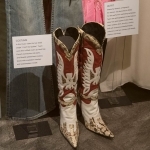 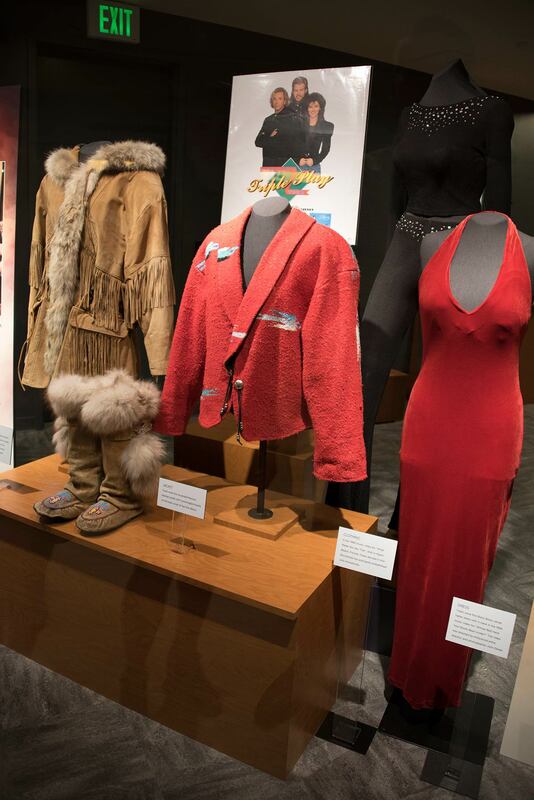 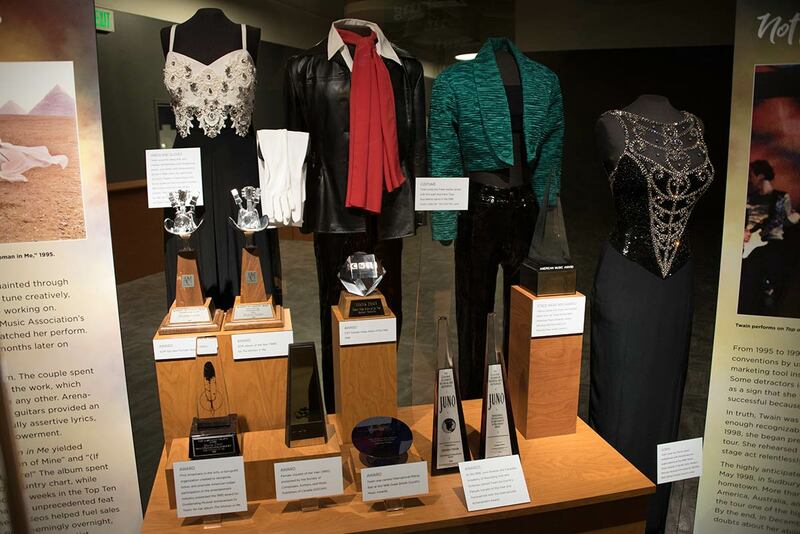 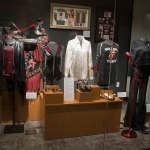 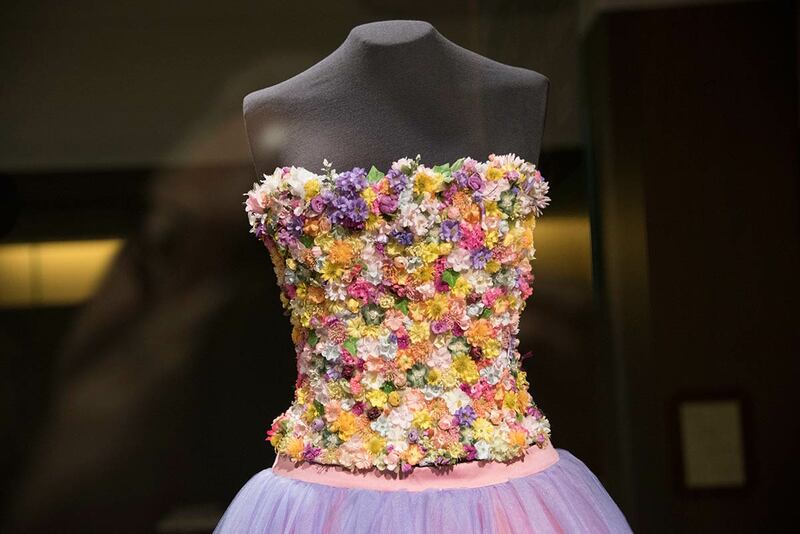 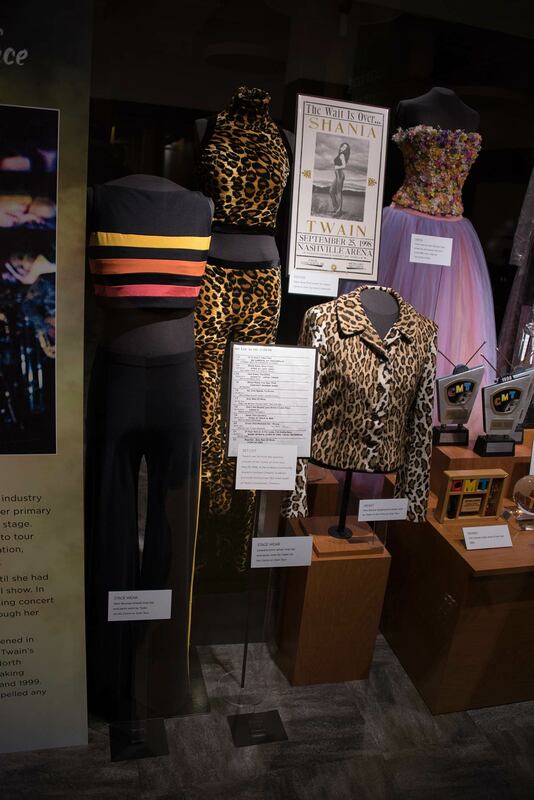 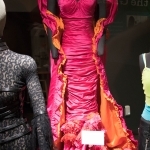 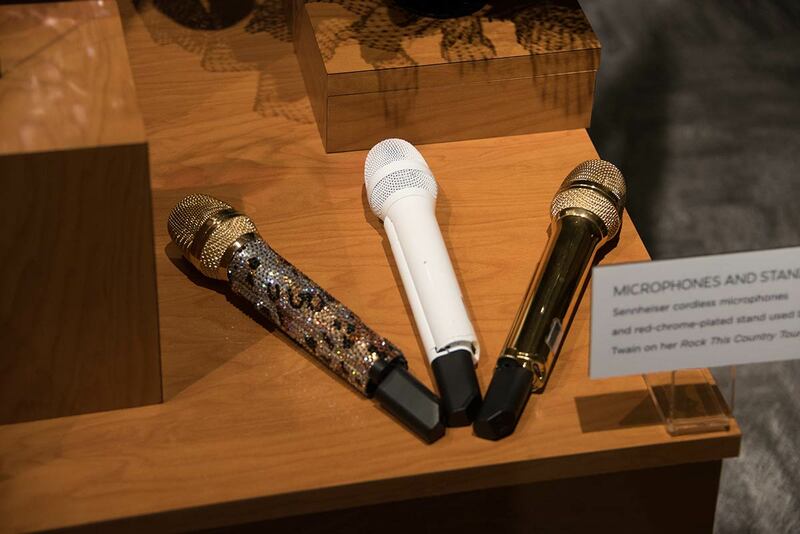 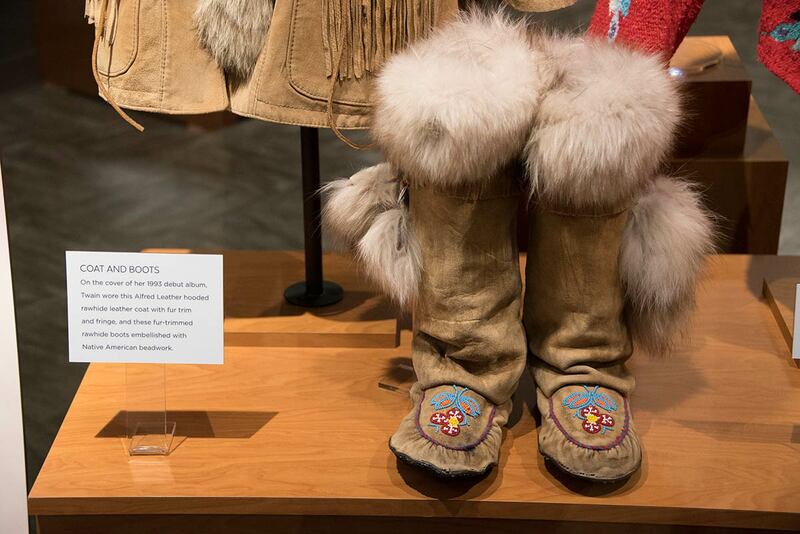 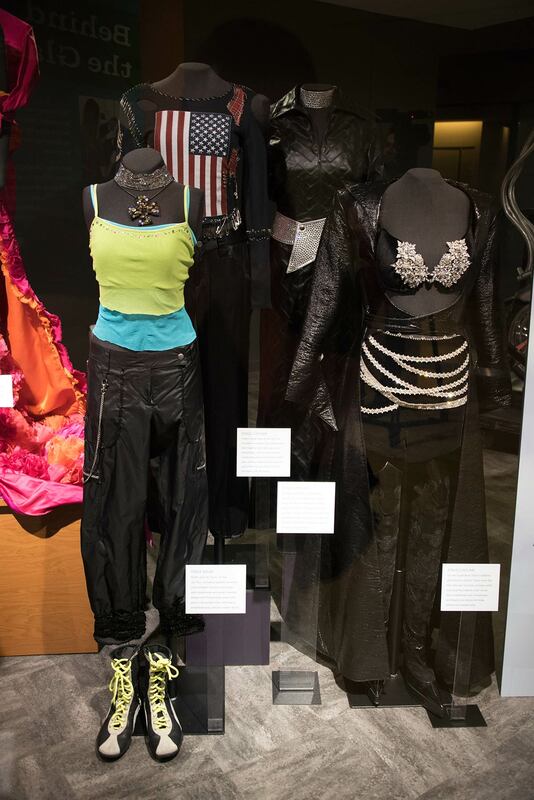 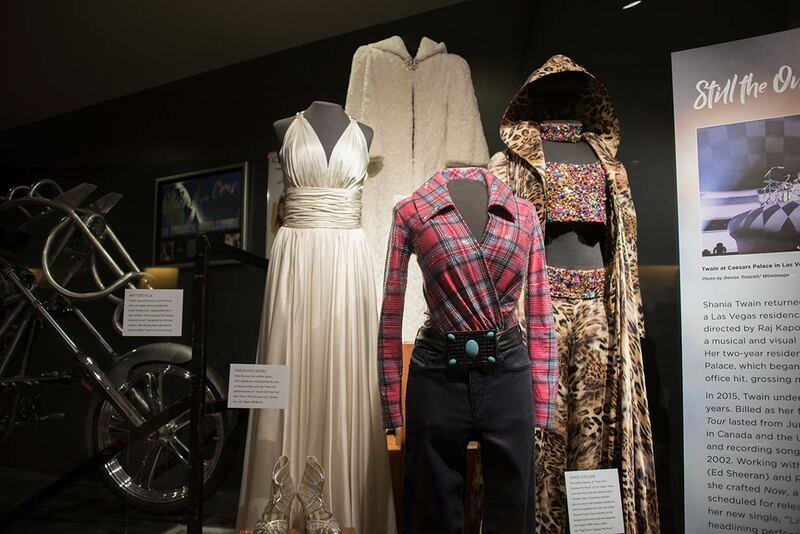 Shania’s exhibit features outfits she wore in many of her stylish videos and in concert, personal memorabilia, photos, awards, stage props and more. 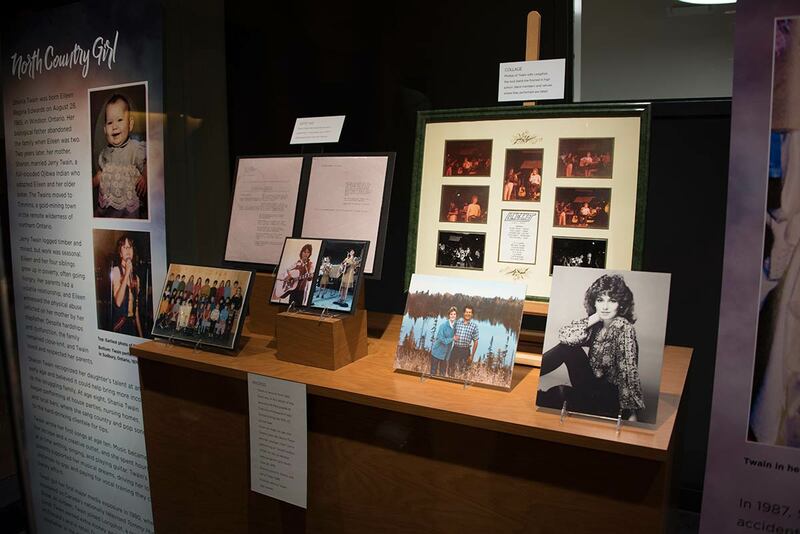 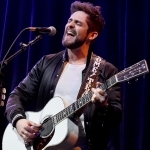 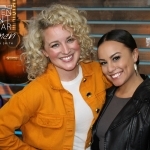 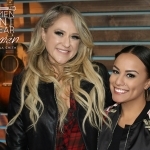 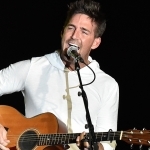 Check out our photo gallery of more than 60 pics.